Interview: Amy Stroup of Sugar and the Hi Lows ! 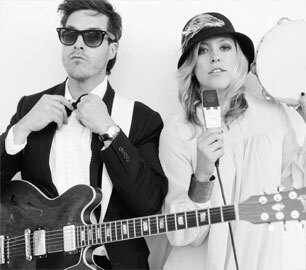 Underneath This had the enjoyable experience of interviewing Amy Stroup, a talented solo artist who is also part of the uplifting duo, Sugar and the Hi Los, with Trent Dabbs. Please read more about Sugar and the Hi Lows (adapted from http://sugarandthehilows.com/story) before proceeding to the interview. Sugar & The Hi Lows are bringing back the epoch of feel good music, the days when one take was sufficient and an auto-tune referred to an automobile. Created and enlivened by experienced songwriter/performers Trent Dabbs and Amy Stroup, Sugar & The Hi Lows is a bit of a nostalgic love offering. Having been raised in Mississippi under the sway of Memphis blues, Dabbs was reared to the tunes of Motown, Otis Redding, Marvin Gaye and The Temptations. “My father used to make blanket statements like, ‘It’s not good if you can’t dance to it,’” he recalls. And though he wasn’t into his father’s sonic selection at the time, he says that style of music has come to evoke a feeling he just can’t get anywhere else. The happy-go-lucky numbers that evolved into Sugar & The Hi Lows began to form when Dabbs obtained a vintage box amp and sat down in his basement for a regular co-write session with Stroup. “We got talking about his dad and throwback music from the ‘50s and ‘60s and just like, ‘Why isn’t there that type of music now?’” Stroup recalls. That day, their song “This Can’t Be the Last Time” came in less than two hours. But somehow everything had changed. A new-found creative freedom had been tapped, and the subsequent seven songs for the project fell quickly into place after that. 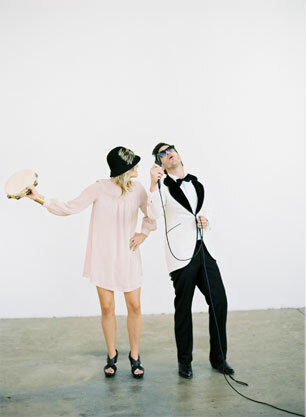 With more than 100 TV placements between the two of them, Dabbs and Stroup are certainly no strangers to pop culture, but they’ve chosen to step away from their traditional singer-songwriter sound to pursue something with more of a swing. I was a self-taught guitar player as a kid, but took piano lessons from second grade on. As a kid every time I learned a new chord I would try and write a new song. I went to college in Nashville and loved the music community, so I started writing and recording. I met a lot of great people including my band mate Trent Dabbs and started trying to make great songs. How does being in based in Nashville influence your creative process? Nashville is a rich place for collaborating. There is a special music energy that happens here. I think its one of the best places in the world to create great songs and have them recorded by great players. Who and what have been other creative influences? How did you decide to form Sugar + the Hi-Lows? Trent and I were actively co writing for our respective solo projects and we had released a couple of duets together. A couple ended up on Grey’s Anatomy and some other shows. We decided to challenge ourselves to write a project that evoked the same feelings we got from listening to our heroes. We listened to The Chi-Lites ‘Oh Girl’ and tried to write a bundle of songs that felt that good. I think showing up on a stage, touring, trying to write great songs for people takes bravery and is how I am most feminist. It’s a battle of bravery to be completely yourself as a women and keep creating and moving up in an over sexualized industry. As women we need to keep showing up and writing from our truest perspective and cheering each other on to do the same. I admire you making lighter, “feel good” music, especially in quite uncertain and scary times. How have fans reacted to your shift in sound from your solo careers? I’ve seen on my twitter feed, people trying to decide if ‘Sugar’ is ‘Amy Stroup’. I love that. We set out to create a different & believable sound that wasn’t like our solo career, and the feedback is positive so far. How did this sonic change come about and how do you describe your songs stylistically? The sonic change came from a change in our writing process. We started with beats many times and an electric guitar. For Sugar songs, it’s about evoking pure joy. I really enjoy the video for your song, “See It For Yourself” and the song itself. What was the making of that video like? I remember going to my grandmother’s house the weekend before the shoot and looking at old Hollywood pictures. I was struck by a photo of Greta Garbo holding an umbrella. I talked to my friend Mary Hooper from Milkglass Creative and she helped gather some of the details like the black and white umbrellas and dressed me in a vintage dress she has had for years. We teamed up with our video director friend Becky Fluke. She filmed the entire video by herself. It was very much a friends and family effort which is how much of our music is made as well. “Snow Angel” is a very beautiful song. What inspired this track and do you perform it year-round? We both feel there is something special about that one and decided that it might be relevant year round…. We just love singing it really. I still get chills live performing it. How does performing live compare to recording? It’s similar in that performing live and in the studio we are trying to evoke emotion and connect with our audience. It drives us in both arenas. Are there any shows that stand out in your career so far? We loved this last run with our friend Ingrid Michaelson. Some standouts were playing the sold out Ryman Auditorium in Nashville for the first time and also two sold out shows in DC were great. My most unexpected favorite show was Pittsburgh. They were an incredibly loving audience interrupting us in the middle of songs with applause. We had a fan come up to us in tears to tell us never to quit music. Something sweet happened that night. What was it like recently touring with Ingrid Michaelson? It was better than summer camp on wheels. She is an incredible, hilarious, smart, gorgeous… there is much to learn from her. Her new album ‘Lights Out’ is stunning. Which are some favorite songs to perform live? I loved performing ‘See It For Yourself’ and throwing glitter, its good clean fun. I love, love, love harmonizing…so songs like ‘Show and Tell’ and the new one ‘Right Time To Tell You’ allow for it. On what projects are you working next as Sugar + the Hi-Lows and within your solo career? As a solo artist I released a new record called “TUNNEL” in February. I look forward to continuing to play those songs live and releasing videos for the songs. As far as Sugar, we recently played live while the Nashville Ballet danced to some of our songs and some Johnny & June Duets. We recorded the Cash songs along with some new ones and hope to release very soon as well.